The BlurFix Air with ND4/CP Filter combines a lightweight slip-over filter frame for the GoPro® Hero3/3+/4 with a professional grade circular polarizer (CP) filter and a neutral density 4 (ND4 or ND0.6) filter all in one. The BlurFix Air Filters from Snake River Prototyping are the lightest filters available for the Hero3/3+/4 - each filter weighs only 7.6 g, or 0.27 oz! The BlurFix Air slips over the Hero3/3+/4 lens body (no housing) and are intended for ultra-lightweight camera platforms (i.e. quadcopters and other aerial radio control aircraft). Each BlurFix Air is made from two CNC machined Delrin® pieces so that the filter frame can be disassembled to facilitate easy cleaning of the filter glass. Delrin, which is more costly than billet aluminum by volume, was selected because of its high quality and excellent machining qualities. 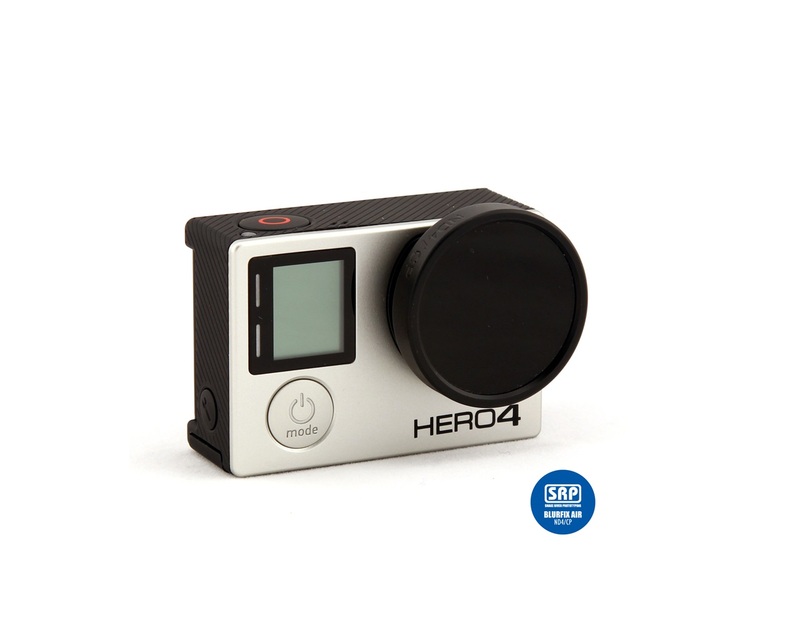 The Hero3/3+/4 lens body can vary slightly from camera to camera. To insure a good fit, each BlurFix Air includes an optional o-ring that can be installed in a groove on the inside of the BlurFix Air body. For a more detailed description of the BlurFix Air product line, reasons why filters are used with a GoPro® camera, and BlurFix Air in-depth instructions, click here. GIMBAL USERS: Refer to the gimbal manufacturer about safely using our products with your specific gimbal make and model. Not all gimbals can safely support extra weight. SRP will NOT be liable for damage.